Tim C is one of those rare individuals with the combination of unparalleled training and extensive real-world experience. A graduate of MIT, one of the world's most competitive science universities, Tim joins the ranks of the world most distinguished computer professionals, earning both a Bachelors and Masters Degree in Computer Science. With more than 30 years encompassing all areas of systems development, Tim is a hands-on Oracle certified DBA with more than a decade of full-time Oracle RAC and OPS experience on multi-million dollar Oracle systems. Tim is expert in all areas of the Oracle technology stack and he is an E-Business Suite technical Database expert and proficient in Oracle Fusion, SOA. Tim is also expert in all major UNIX dialects (AIX, HPUX, Solaris, Linux) and he can program in Java, Smalltalk, ASP, JSP, Perl, C and C++. Operating Systems – Windows 3.51 through 2008 server, HP-UX, AIX, Solaris, Linux all flavors (Redhat, Suse, Centos, Ubuntu, Oracle) – I have setup and installed all OS’s including Clustering and High Availability. Also have setup all flavors of VMWARE for each Operating System. Windows Hyper-V. Setup Oracle 11gr2 RAC Data warehouse. Implemented Data Guard, best practices. Tuning and scaling. Installed on Windows, Solaris with Zones, Linux and HP-UX. Client wanted a performance test on all the operating systems. Setup RAC using SCAN listeners for load balancing. Configured Oracle VM with OCFS and shared storage pools. Configured VMWare with Oracle 11gr RAC. Setup VCS on AIX and Solaris for Oracle RAC. Setup all HP-UX 11.23 and 11.31 Environments with virtualization. Configured Powerpath, Zoning and LUNs via Navisphere. All machines were HP-UX Itanium RX series. Setup monitoring tools. Installed Redhat Linux and setup EMC SAN with powerpath. Implemented ASM using 11gr2 new features. Configured Storage on CX4 and DX4 Clariion and Symmetrix. Configured EMC-CX4 240 san, setup zoning, luns for Oracle VM environment. Installed and managed all VM’s for system. Installed EBS R12.1.1 Oracle VM Templates and 11gr2 Templates for RAC. Consultant for CJIS consolidation efforts. CJIS is in process of migrating all legacy hosting systems to their facility in Chelsea. I am the Lead Database Architect for the project. Ø Migrated all Oracle 9i and 10g databases to 11gr2. Platforms include Windows, Linux, AIX, Solaris and Hp-UX itanium. Ø Upgraded Several Oracle E-Business 11.5.10 to R12.1. Migrated from existing Hp-UX to linux. Installed and configured all operating systems, setup and laid out san. Migrated application tier to shared application tier. Setup PCP and Oracle 11g RAC. Provided scaling and HA architecture. Setup Data Guard and Netapp snapclones. Setup load balancing and webcache – also configured shared application tier using VCS. Ø Installed and Configured Peoplesoft CRM with weblogic and Oracle 11g. Ø Setup Oracle Grid for over 150 databases, application servers, web-logic. Provided all monitoring and tuning. Ø Configured large Warehouse using Oracle OWB, Essbase with OLAP features. Installed Oracle OBIEE across multiple servers. Performed all performance tuning of partitions and cubes. Ø Installed and configured Oracle 11g SOA Fusion Suite. Configured LDAP and Active Directory integration. Implemented Fusion for several CJIS customers on AIX, Linux, Solaris and windows. Setup Web logic clusters. OBIEE. Ø Setup Service guard for HP-UX. Veritas Cluster server for Solaris. Sun Cluster for Solaris. HACMP and GPFS for AIX and Ocfs2 and GFS for Linux. Ø Migrated several RAC systems to ASM. Ø Setup Informix 11 Dynamic server for several clients. Provided tuning and Scaling. Ø Configured Netapp and EMC Clariion and symmetrix san and NAS storage for optimal performance with Oracle RAC. Consultant for Sun’s Professional Services Division. include Flowserve, International Paper, University of Phoenix, PNC Bank, JCrew, Pratt & Whitney, Bayview Financial, Mississippi Dept of Education, Flextronics, Wells Fargo, and the Army Corps of Engineers. Oracle and SAP ERP Architect for several large clients: DBA and Lead Architect for over 5 major upgrades from 11i to R12 multi-global implementations. In charge of deciding on hardware, scaling of tiers based on number of users. LAN architecture, bonded and private network interconnects. Backup strategies for high availability. Performance architecture of the operating system and storage system. Shared Application tier placement. Setup performance monitoring software (Foglight). Worked with DBA’s and functional analyst on profile options for performance enhancements. Setup data guard for high availability. Migrated database from clustered file system to ASM. Setup and configured PCP across Clustered Nodes. Modified system for load balancing using BIGIP and F5. Upgrading OS from Redhat 4 to Redhat 5.4. Configured SSO integration with Oracle E-Business and Discoverer and other third party software. Configured Workflow and BPEL processes for third party software feeds. Windows, L:inux, Aix, Solaris, HP-UX. Upgrade large financial organization from 11.5.7 to R12.1.1: Customer was a large Supply Chain Store (Jcrew) - Design architecture, put together all technical documentation, mentor dba’s during the upgrade process. Implemented Data Guard for standby, migrated existing 9.2. databases to 11g Real Application Clusters. Implement a shared application top for both techstack and appl_top. Customers runs AIX, HP-UX, Linux and Solaris. Utilized Quest Stat for managing Oracle E-Business patches and version control. Migration of E-Business Suite from HP-UX Itanium to Linux x-64 – database and application tier – Shared application tier – Migrated Database from Oracle 10g to 11gr2 RAC. Install vmware ESX4I and ESX4 server on Redhat Linux. Create vmware environments for several Oracle RAC and single instance databases. Configure shared storage, setup ASM, GFS clustered file system, Polyserve and VCS. Tested performance of each clustered file system. Migration of UDB/DB2 8 and 9 to Oracle 10 and 11g. Stored procedures, java code, jdbc calls, And all cron jobs. Maintain and upgrade all SQL Server 2000 and 2005 databases to 2008. Implement GEO Cluster technology using stretch clusters. Provide all tuning of databases and stored procedures. External interface coding in C#. Tuning, migration, upgrade Expert for Sun’s Oracle Practice – Experience with large scale terabyte databases, redesigning them for RAC and optimal performance. ASM migrations and tuning on All platforms. Ø Setup and Configured HP-UX Itanium servers with Serviceguard and virtualization. Installed and configured Oracle 11g RAC. Ø Setup and Configured Solaris 10 servers with Sun Cluster and Sun virtualization. Installed and configured Oracle 11g RAC and MYSQL Cluster. Ø Setup and Configured IBM AIX HACMP and GPFS on pseries servers. Installed and configured Oracle 10g and 11g RAC. Ø Setup and Configured Redhat Linux Advanced Cluster – setup active-active and active-passive environments using GFS. Ø Migrate Large Solaris implementation environment (EMC Corp) to Redhat Linux – utilized transportable tablespaces to reduce downtime – also utilized data pump pipe techniques to reduce downtime ..
Ø Setup 4 node Oracle Application Server Cluster – 10gias – shared binaries – customized Portal and Oracle Collaboration Suite. Ø Configured 4 node Windows 2003 and Windows 2008 RAC Cluster – 10g and 11g – provided tuning and scaling for ASM and OCFS2 file-systems as well as native NTFS. Ø Migrate HP-UX 11i implementation to Solaris 10. Utilize Domains for Real Application Cluster database. Migrate application tiers from Linux and HP-UX to Solaris. Ø Migrate Oracle 10g Database to MYSQL 5.1 – setup 3 node Cluster – redesigned schema for optimization – provided all tuning and setup tasks .Utilize Erwin, PowerDesigner, and Rational for Relational and Object modeling. Ø Upgrade and install Sun Cluster on multi-node RAC – Upgrade 9i RAC and 10g RAC to 11g RAC.Install Dataguard for Reporting and failover for DR.
Ø Implement Grid based monitoring solution for large scale show manufacturer. Client has over 800 databases running Oracle 7 through 11g. Ø Setup RMAN solutions for all Oracle Databases – created rman repository, wrote scripts for backup, integrated rman with OEM and GRID, provided best practices, optimizations and data guard and cloning techniques – restore and recovery. Ø Provide Performance tuning and performance analysis for large oracle data warehouse. Oracle 11i, R12 – database and application tiers. Recommend best practices for partitioning, scalability and monitoring. Ø Installed and configured multi-tier Oracle Collaboration Suite 10g, 3 nodes install on Solaris and Linux. Setup Oracle Files, Web Conferencing, SSO, integration with E-Business. Automatic startup and shutdown with RMAN backup – RAC backend on Store and mid tier. Ø Upgrade Major Titanium Company - Global NLS Oracle 11.5.10 multi-tier application to R12CU4. Migrated database to Oracle 10.2.3, upgraded all custom code and configure for 10G ASM RAC with data guard and TAF. Setup PCP and all High availability using data guard. Ø Part of Oracle’s Swat Team – Duties include – tuning of systems, redesigning application schemas, upgrading and migrating systems. Ø Installed Oracle Collaboration Suite and Oracle Content Management Suite for a large video company that streams terabytes of data equivalent to youtube. Setup infrastructure for system. Consisted of 3 appplication servers, 2 content server, a RAC content db and data guard standby. Provided all maintenance and tuning of system on a 24 X 7 basis. Interfaced system with Oracle Discoverer and Oracle E-Business. Helped work with developers to design custom java api. Ø Migration of Ingres 6 & 7 databases to Oracle 10g. Also modified all scripts and logic. Ø Installed Oracle 11.5.10.2 and R12 on Linux,AIX ,Windows 2003 Server, HP-UX and Solaris– Multi-tier split 10GR2 RAC clustered environment using GPFS,OCFS2,Sun Cluster 3.0 ASM, utilizing PCP and FAL. Setup San, installed and configured ASM disk array layout. Designed cloning strategies for 10 different tier environments. Provide Grid monitoring for Environment. Migrate existing RAC databases from veritas cluster server to ASM. Ø Migrated Client from Peoplesoft 6 to Peoplesoft 8. Client was moving from Solaris to Redhat Linux. Ø Migrated multiple Clients from AIX, Solaris, Windows, HP-UX, Linux to different platforms with Oracle 11i, R12, 10g, 9i, 11g. Ø Performed several re-implementations of fresh install of E-Business Suite. Ø Implemented Sox and Oracle Advanced Security for Core of Army Engineers Project that involved monitoring of troop activity in Iraq. Ø Configured EMC San Storage – Symmetrix and Clariion – Created Logical Volumes and installed and configured devices. Ø Migrated Split architecture of HP-PA Risc and HP-Titanium to Linux 32 and 64 bit with RAC and ASM on 64 BIT Tier. Configured Service Guard on HP and Veritas Cluster server on AIX. Ø Workflow and BPEL configuration of legacy database feeds utilizing SOA technologies. Ø Workflow Mailer configuration and automation. Ø Installed and Configured Oracle RAC on Windows 2003 Server – 4 node cluster with ocfs2 and ASM. Upgraded 9i on Windows 2003 to 10g RAC. Ø Installed and configured Discoverer 10g with SSO. Upgraded existing EUL from Discoverer 4i. Ø Set up Oracle R12 across Vmware environment. Configured Operating System, provided tuning and load balancing techniques for Vmware. Ø Provided all SnapClone and FlexClone techniques for Netapp Appliances. Ø Configured High Availability with Dataguard and setup RMAN for backups. Ø Provided Client with Security Best practices for Oracle 10g. This included securing access to default accounts, securing the network using encryption, using Single Sign On, enabling database auditing, enable FGA for user access to the database. Document all security practices and create daily managements reports. Ø Installed and configured multi-tier Oracle Collaboration Suite 10g, 3 nodes install on Linux and Aix. Setup Oracle Files, Web Conferencing, SSO, integration with E-Business. Automatic startup and shutdown with RMAN backup – RAC backend on Store and mid tier. Ø Database Lead for Dell Professional Services Migration team specializing in upgrades, migrations and complex installations of Oracle Applications 11i. Ø 11.5.10 Clustered RAC configuration with MRP and PCP – provided all architecture decisions on shared file system and DMZ security. Ø Migrated DB2 and Oracle Databases to Mysql 4.2. Migration consisted of over 40 databases. Ø Migrate Omnis 7 database’s to Oracle 10g. Client had several large scale Omnis environments and were migrating to jdeveloper and Oracle 10. Ø Installed and upgraded several 10.7 and 11.5 ERP Systems to 11.5.9 and 11.5.10. Ø Design complex architecture migration strategies – including database, applications, protocols, hardware – Implement Fine Grain Auditing for all user connections. Encrypt network sql access. Ø Migrated over 20 Sybase System 10 and 11 systems to Oracle and SQLServer. Ø Installed and configured SunCluster 2.2 and 3.0 for Oracle RAC 5 node database. Ø Oracle RAC installs and setup on Windows 2003, AIX, Solaris and Linux. CFS, GPFS, PolyServe, CMS, OCFS. Ø Configure Complex database schemas for multi-global applications such as Oracle ERP, Peoplesoft, SAP and Siebel. Ø Installation and configuration of Collaboration suite 10g across multi-tier clustered RAC environment. Ø Extensive Performance and scalability testing using Mercury tools – loadrunner, winrunner, testdirector. Ø Install, tune and configure complex clustered database environments. Install and setup SAN, NAS, ISCSI, Oracle 10g RAC, ASM, OCFS, Dataguard, Veritas Cluster, Sun Cluster, HACMP, GPFS, AIX, Solaris, HP-UX, MSCS, Windows 2000, 2003, Vista and SQLserver 2005. Ø Database Lead implementing Proof of Concepts for Dell professional services and EMC. Ø Install and Configure UDB 8.1 and 8.2 on HP-UX, AIX, Linux and Windows 2003. Ø Migrate Sybase AS 12.5 to Sybase System 15. Ø Install and Maintain Oracle Pharmaceuticals 4.5 – migrate existing clinical systems to Oracle Clinical. Ø Configure OCFS, ASM, and PolyServe on redhat linux. Ø Setup disaster recovery and High Availability Architecture with dataguard, EMC Snapcloen and Snapview. Ø Upgrade Oracle Applications 10.7 to 11.5.10, 11i to 11.5.9 – migrate from windows, hp-ux, Solaris and aix to linux. Ø Worked at EMC doing a migration from 11.5.8 to 11.5.10 from Solaris to Linux – did all the work myself. Ø Hired as Database and Oracle Applications DBA Lead to implement a multi-architecture and Global deployment of 11.5.10. System consisted of several HP-PA Risc Application Servers and RAC based HP-UX Itanium servers. Installed and configured the hardware, OS, raid and LVM setup – Installed 11.5.9 and ported it to a RAC environment on AIX, SUN, HP and REDHAT Linux AS. Ø High availability Architect for Standby and DR center..
Ø Migrated Oracle 11.5.9 to 11.5.10 on Linux, AIX, Solaris and HP-UX. Ø Installed and configured Oracle Collaboration Suite on HP-UX, Redhat Linux AS 3.0 and Windows 2003 Server. Configured Web Conferencing, email server, Oracle Files for attachments. Multi-server and single node installs. Ø Setup SSO for Oracle collaboration suite, Applications and Discoverer. Migrated Apps users to OID using native tools. Setup SSL security. Ø Extensive tuning and scalability benchmarking of various environments at the Operating system and Database level for AIX, HP-UX and Solaris. Ø Developed all E-Business cloning routines, backup and startup scripts to be used across all of the various servers. Ø Migrated data from an existing legacy based manufacturing and financial system to Oracle apps using Oracle’s Data pump and Brio. Ø Installed RMAN and TMS for backups with Data Guard for high availability reporting instance. Ø Provided all database tuning to existing systems using my 20+ yrs of RDB expertise. Ø Migrated MDR from a Legacy based financial package that ran on VAX/VMS to Oracle 11.5.2 ERP and CRM. Installed and configured QA, Development and Production instances on Windows 2003 Servers, Linux and AIX servers. Provide all tuning, cloning, 24 X 7 support for production environment. Ø Installed Oracle Collaboration suite on Linux AS 3.0. Configured Email, Web conferencing, Files, Voice Conferencing. Integrated with SSO and Oracle applications. Ø Migrated all application and database servers to AIX 5.1 and RedHat AS 3.0 Linux running Oracle 10gRAC and 10g Application servers. Linux servers running OCFS 2.1. And Redhat Advanced server 2.1 and 3.0. Ø Installed a split-architecture configuration of Oracle Applications 11i using HP PA-RISC as the application server tier and HP-Itanium for the database tier. Ø Utilized Veritas DBAC software to manage raw partitions and clustering on the HP-UX systems. Ø Database tuning of E-Business suite using Quest spotlight and statspack. Cloning and patching. We have 6 instances running. Ø Setup standby database and rman backup database on AIX platforms. Ø Several Installations of Oracle RAC on Linux using SAN and EMC disk arrays. Also setup demo’s using firewire shared cluster. Ø Mentor and lead a team of 12 Junior DBA’s and 5 developers. Provide guidance and training on a monthly basis to DBA’s and developers on different subjects related to database performance, sql tuning, EJB and stored procedure design. Ø Ported several Sybase AS12.5 database servers to Oracle 9i RAC, ported stored procedures, java stored procedures, XML code. My primary role has been Oracle and UDB/DB2 Database Guru and Architect. In this role my responsibilities were architecting, implementing and managing all of the middle tier and back-end database related tasks. Ø Database Architect and Lead DBA for over 5 implementations of UDB EEE 6 & 7 on AIX, Solaris and HP/UX Platforms. Migration of existing DB2 Databases on MVS platforms to UDB AIX. Ø Installed Oracle E-business Suite 10.7 NCA version on AIX and Solaris. Provided all patching, cloning and tuning expertise to staff. Ø Convert Oracle Databases from version 7 to 8, 8 to 9. Ø Utilized Cognos ETL Tool’s to load and clean data. Ø Installed and configured Oracle 10.7 and 11.0 for several clients. Installations configured for Parallel and RAC environments. Ø Installed and configured Oracle Parallel server on Sun, RS6000 and HP9000 environments. Sybase’s technology practice specializes in large scale system implementation for fortune 500 companies. The technology team’s work usually consists of about 15-20 engineers and business analysts. These are some of the most dedicated people in the business. There will work as many hours as needed to meet all deadlines. I never missed a deadline and learned to be a team player. My role was to work along with business analysts and end users to define and architect the business flow as it relates to a relational model. I would learn the customers business and start to design some logical business diagrams using various modeling tools that would change based on the customers needs. From the logical models, I would design the physical implementation of the database. When the engineers started to code, I would work side by side with them to provide SQL knowledge. When Java first came on the scene, I learned to write JDBC code so that I could help when needed with development. Ø Lead Database Architect. It was my role to head the database team and make all final decisions concerning design and modifications to the schema. We used Erwin, Rational Rose and Powerdesigner for modeling tools. Was the lead Java developer and DBA on over 5 ERP and CRM implementation of Oracle. Ø Installed and maintained Websphere for several clients. Migrated data, installed application servers, migrated legacy code. Ø Lead Database Administrator. It was also my role to act as the primary database administrator. All performance tuning and database tasks would be signed off by me. Many of the projects involved supervising a staff of 6 to 10 DBA’s. I was also the chief technologist for all database performance tuning and implementation. Some of the databases we worked on were several hundred gigabytes to terabyte financial systems. Ø Technologies used were Java, Oracle, PowerBuilder 5 & 6,PL/SQL, Sybase 11.5, DB2 7.0, and SQLServer 6.5. Designed several large data warehouses in DB2 Warehousing and Oracle Express. Ø Convert Sybase 11.5 Environment to Oracle 8 and DB2 7.0. Stored procedures, shell scripts, JDBC code. Ø Developed several prototype cross-platform GUI applications using Omnis 7, MPW and Uniface. These applications were designed using Kerberos authentication (the technology would later be used 10 yrs later as the authentication for Windows 2000). Ø Designed and Architected MIT’s first implementation of Sybase and Oracle. Sybase was running on a pair of Clustered Vax 780’s, Oracle was installed on a prototype version of the Digital Alpha processor. Ø Installed and configured several Ingres Database implementations on Vax Ultrix and OSF. MIT was one of the first institutions to use Ingres as its database. Ø Provided database support for initial implementation of Peoplesoft. 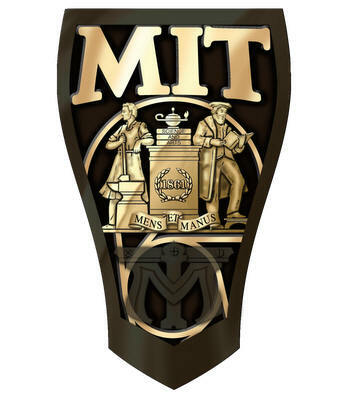 MIT converted all of its home grown applications to Peoplesoft HR. Ø Installed and configured Gemstone database. Used Parc Place visualworks Smalltalk to design and OO interface for a facilities management project. Digital Equipment Corporation was a pioneer in the field of database technologies. Vax RDB was one of the first relational databases designed after DB2. The minicomputer (vax) was the driving force behind the technology. Worked on the design and development of Vax RDB from conception. My role as Database Engineer allowed me to utilize all of my knowledge that I learned during my college years. Wrote several underlying interfaces and custom reports using C and Vax Basic. The Vax/RDB team consisted of 25 of Digital’s brightest engineers. They were hand selected from a variety of schools at the time. Relational technology was just beginning to be understood. Digital had been developing several products using a hierarchical database called DBMS-32. Although very effective, the push was to deliver a relational product. Ø Started out as a Software Engineer working on Project Athena. Designed an advanced Message Queuing System using Vax C and Digital’s RDB. Ø Promoted to Principal Software Engineer and re-assigned to work on Digital’s internal database development team that designed Vax RDB. Worked on designing the internal metadata dictionary and SQL interface to Vax RDB. Developed the interface using Vax C.
Ø Worked on Vax Cluster technology (the predecessor to Oracle 9i RAC). Provided design and installation techniques for clustering and performance tuning. Upgraded Oracle 11.5.10 to R12 on Linux and HP-UX. Setup RAC clustering and provided all tuning and 24 X 7 support. DCC also known as smartdog – provides on demand remote dba services. I was the lead applications dba for them. Handled over 10 customer accounts, many Oracle ERP applications. Performed migrations, upgrades, tuning, support 24 X 7. Microsoft 64 Bit Beta tester.